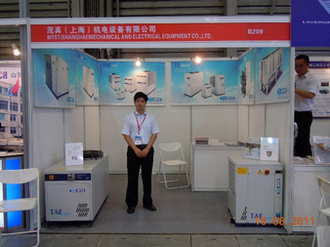 MTA has participated to AMTS fair in Shanghai 2011 (Shanghai International Automotive Manufacturing Technology & Materials Show 2011), it was held in shanghai 16-19 Aug 2011. There were some big car manufacture system integrators participated in the show, like ZEC automotive equipmet, Edag China ect. Along with the maturity and development of China’s auto market, the fair has shown as advanced technology has become a key competition factors for the auto industry development.